We teach and consult in Regenerative Agriculture. Contact Us for a conversation about we can best serve your business or organisation. Information rich and intensive, our on farm consultancies fast track your enterprise to success. Tailored specifically to your farm needs we teach you the knowledge and skills you need to significantly reduce your input costs and effectively manage and monitor your on farm fertility though Biofertiliser production, beneficial microbe capture and reproduction, animal lick production, chromatography, water cycle repair, soil building and Holistic Management® strategies. 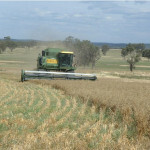 RegenAG® Courses are part practical and part theory. Jam-packed with the nuts and bolts of how to get started in a range of Regenerative Agricultural fields. Our courses step you through the theory, methods and processes so that you have a detailed understanding of how you can confidently move forward in your enterprise. 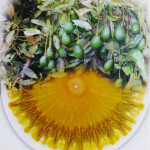 Establishing a regenerative system usually requires a transition period that moves gradually away from many conventional farming practices, sometimes it requires adaptation of existing equipment and beyond that we are constantly updating our knowledge on the latest science, recipes and practices from our mentors and teaching team. RegenAG® extension services can advise you during your transitional phase and keep you up to date with the latest information in the field. 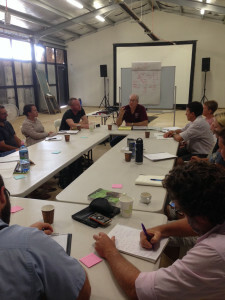 RegenAG® workshops are short, punchy and packed with practical ideas and inspiration. Tailored for natural resource management groups, Landcare or other groups we provide an overview of all the regenerative methodologies we promote or an introduction to a particular regenerative methodology in a half-day or full-day workshop format. RegenAG® is proud to showcase the success and trials of farmers whom have adopted regenerative strategies on their farm. These days are an opportunity for farmers in an area to see for themselves the results and talk to farmers about their experience. 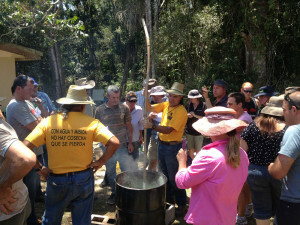 RegenAG® hosts a variety of special events such as working luncheons addressing Food Safety and Food Sovereignty with special guest speakers such as Joel Salatin to film nights of our documentary film ‘The RegenAG® Mashumus Tour to Latin America 2013’ that documents the trip of 17 Australian Farmers to Mexico, Costa Rica and Ecuador to see for themselves the results of using regenerative methods and making Biofertilisers on a large scale. 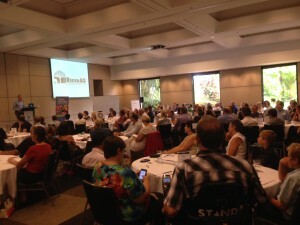 Opening up a plethora of possibilities RegenAG® key note talks offer hope for framers, land managers and communities. Tailored for specific audiences our talks introduce regenerative farming methodologies and ideas that increase soil health, heal water cycles, reduce input costs and return struggling farms into productive and profitable enterprises. 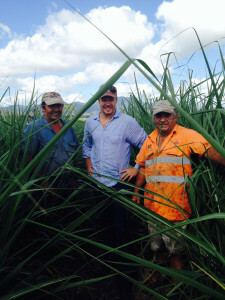 RegenAG® is proud to be working with MasHumus, Latin America’s premier pioneering Regenerative Agriculture consultants whom over the last 20 years have developed a range of ‘farm-made’ soluble mineral BioFertilisers to replace energy-intensive and expensive artificial fertilizers, pesticides and fungicides. They have also revolutionised how farmers can identify, capture and reproduce beneficial microbes on farm to support soil health and plant nutrient processes. 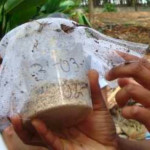 Further teaching thousands of farmers how to use Chromatography, a simple and inexpensive soil qualitative assessment tool that depicts clearly the relationships between organic matter, microbes and minerals in the soil profile and can be used to monitor soil health and the effects of inputs and management over time. 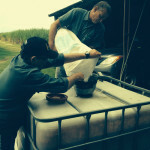 Together these techniques have enabled farmers across Latin America access to the skills and knowledge needed to get themselves ‘off the drip’ of increasingly unaffordable artificial conventional inputs and more recently unaffordable industrial biological inputs. Incredibly exciting and innovative, these products are simple to produce on farm and are highly effective, empowering framers with independence and the ability to drastically reduce their input costs while increasing produce quality, soil health and farm resilience to pest and disease problems. RegenAG’s Biofertiliser Courses are hands-on and involve stepping farmers through the theory, methods and processes of how to make all of the inputs they are likely to need on their farm in order to restore fertility to their landscapes while maintaining and even increasing productivity. Holistic Management® is a decision making framework which results in ecologically regenerative, economically viable and socially sound farm and enterprise management. Holistic Management® was pioneered by wildlife biologist Allan Savory more than 40 years ago. Savory discovered what was causing the degradation and desertification of the world’s grasslands and pioneered a way to restore the land to health using livestock as the primary tool; where the relationship between large herds of wild herbivores and the grasslands was used as a model to develop ways of managing domestic livestock herds to mimic those of wild herds to heal the land. 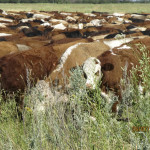 The framework he developed offers land managers a way to plan, monitor and re-plan complex grazing, land management and financial decisions such that the impact of these decisions has a positive effect on land health and productivity and minimizes any unintended negative consequences. 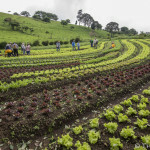 Even more broadly Holistic Management takes into account the situational complexity, context and whole under management of any farm, enterprise, organization or even family and is therefore an invaluable tool in managing successfully the economic, environmental and social impacts inherent in all decision making. 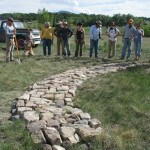 RegenAG® works with internationally respected Craig Sponholtz of Watershed Artisans to deliver landscape assessment, design, technical assistance and innovative education and training services for passive water harvesting, stream restoration, wetland restoration and natural process erosion control projects and events. Learn more about Craig here. We specialize in working with land managers and Natural Resource Management groups to identify and prioritize restoration projects that provide maximum benefits for the resources invested. We emphasize thorough, high quality work that is functional, beautiful and long-lasting. Craig’s approach is based on the principles of Natural Channel Design, Induced Meandering and Landscape Agro-ecology. 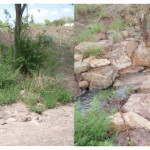 RegenAG® offers hands-on training in erosion control design and implementation techniques with Craig, as well as technical assistance in watershed management and agro-ecology. 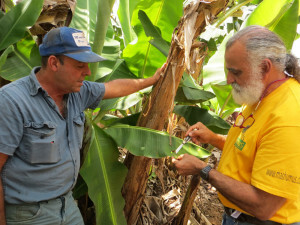 This training teaches farmers and land managers how to set restoration priorities that align with their management objectives. 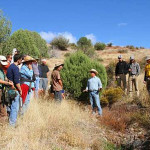 His workshops empower participants to make a positive difference in their own watersheds by emphasizing an understanding of root causes and healing processes, rather than simply addressing the symptoms of degradation. 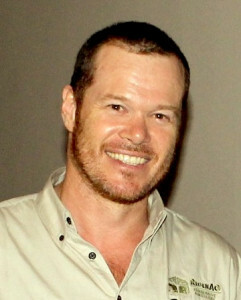 He focuses on teaching the knowledge and skills needed to complete restoration projects with high quality work. To read more about a course with Craig click here. RegenAG® delivers training and provides practical advice for farming and commercial composting operations in a variety of composting methodologies particular to a wide range of situations, conditions and available materials. Get in touch to discuss how we can help you. 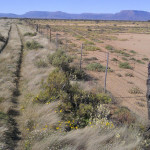 Pasture cropping is a technique of opportunistically sowing crops into living perennial (usually native) pastures and having these crops grow symbiotically with the existing pastures. Colin Seis and Daryl Cluff initiated this idea in 1993 and since that time Colin Seis has spent much of his time perfecting this technique. 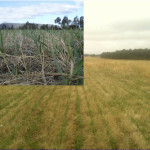 Colin discovered that it is possible to grow many different types of winter and summer growing crops, without destroying the perennial pasture base, while sequestering large amounts of carbon and maintaining permanent ground cover. 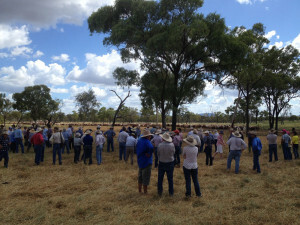 Over 1000 farmers across Australia practice pasture cropping in a whole range of climate zones. Colin was the recent 2014 Bob Hawke Landcare Award winner for his work. RegenAG is proud to have Colin Seis deliver training with us and we hope to help further this revolutionary approach to become the new standard of best-practice cropping. RegenAG® promotes Keyline® design as laid out in the “The Keyline Plan” developed by the late great P.A. Yeomans. Keyline Pattern is a foundational subject in Regenerative Agriculture methodologies and informs the pattern for whole farm planning and design for regenerating soil and drought proofing across broad acre landscapes. Rapid development of biologically active, fertile soil within a systematically designed landscape. 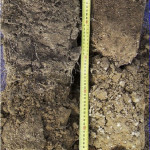 During an average three-year conversion phase, four to six inches of new topsoil are typically formed each year. This new topsoil stores large quantities of water in the landscape. Design for the harvest, storage and distribution of water on the landscape forms the foundation of the Keyline Plan. 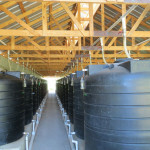 Run-off water is stored in dams. This water is later released for rapid, gravity-powered flood-irrigation. Roads, forests buildings and fencing follow primary water layout and fit together within the lay of the land. Since 2010 RegenAG® has reached thousands of farmers and developed essential collaborative partnerships across Australia through its events, consultancies, workshops, courses, field days, on ground works and tours with some of the world's best Regenerative Agricultural practitioners and consultants quickly establishing itself as a leader in it’s field and popularising the word ‘regenerative’ into the agricultural vernacular and sustainable land management sector.